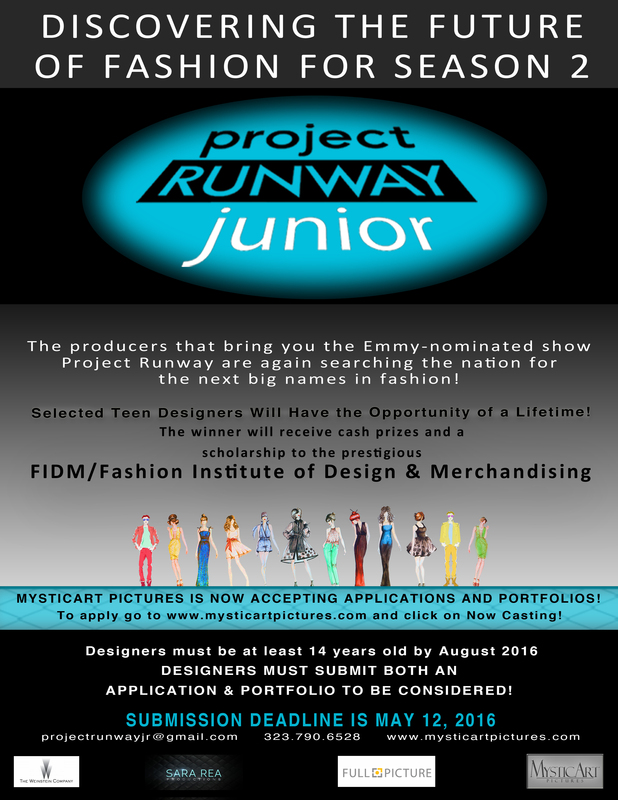 If you watched the premier season of Project Runway Junior, you’re aware of what an exciting season it was. The talent demonstrated by the 14-17 year old participants was mind blowing! Many commented that they were more enjoyable to watch than the adult participants – the talent was there and the egotistical cattiness was missing. Once again, ASG has been asked to help get the word out to potential participants (for Season 2) so SPS is sharing this message and the attached flyer from the show with all our members through an email blast – you never know who may know a talented young sewist/designer who would love to have this opportunity of a lifetime! The deadline for submission is May 12th. Maybe a member of your Junior program or a daughter or granddaughter of a chapter member? For more information go to Mysticartpictures and click on Casting.